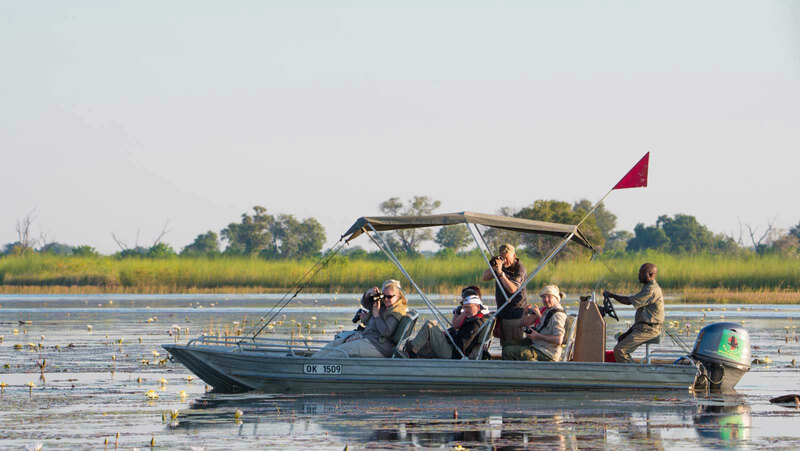 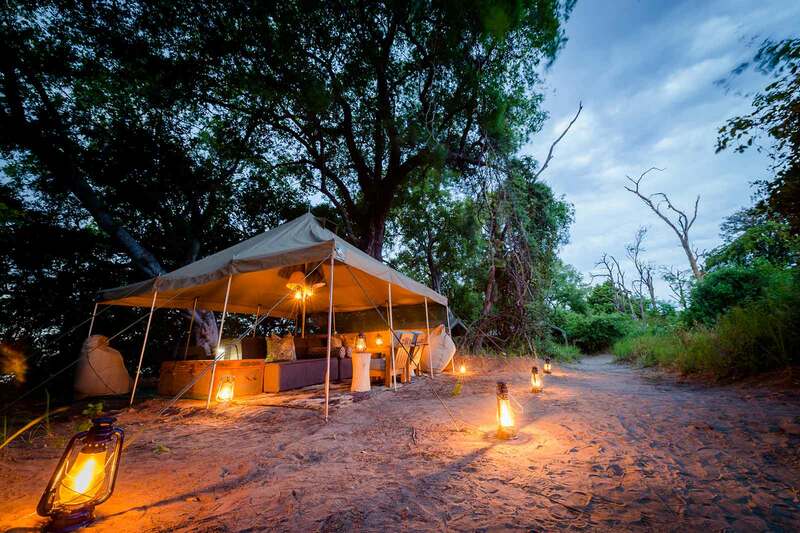 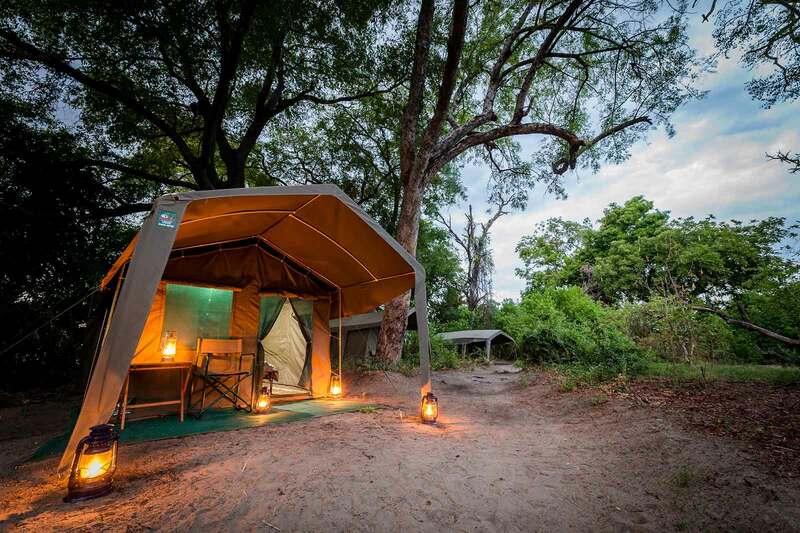 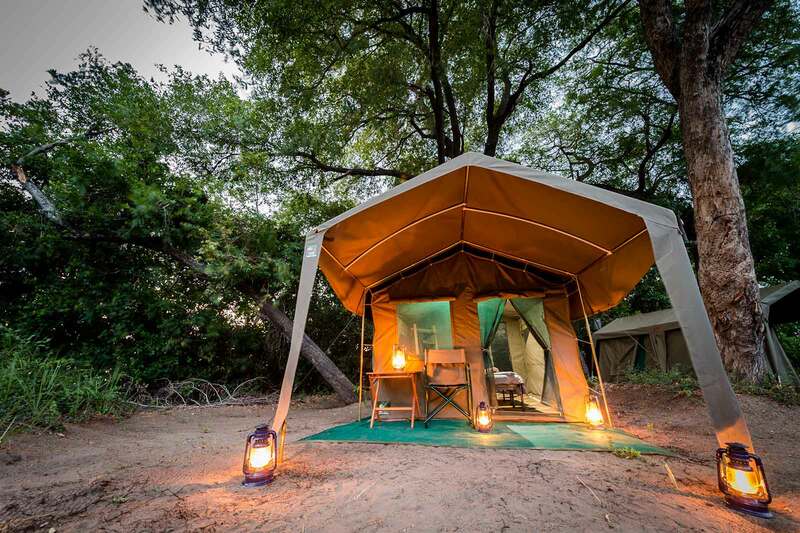 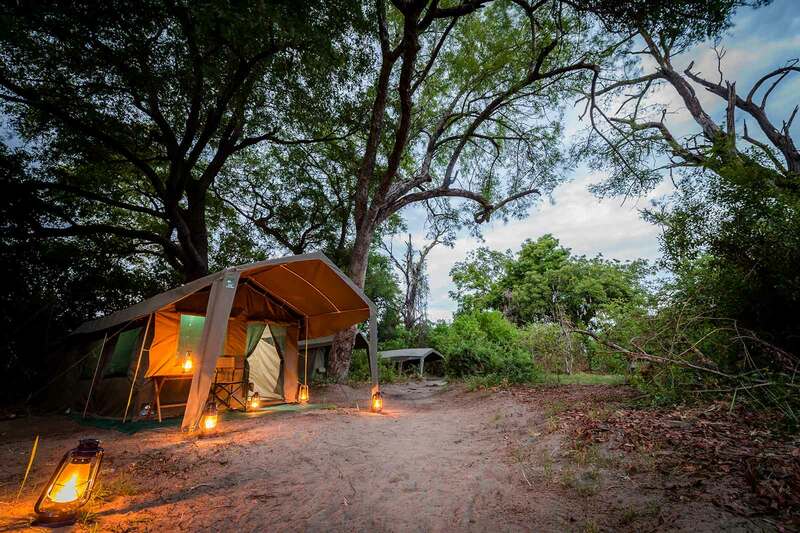 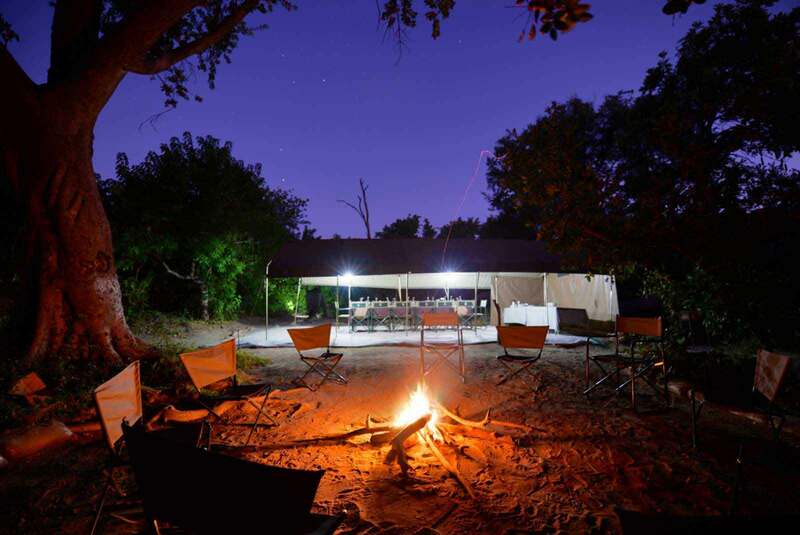 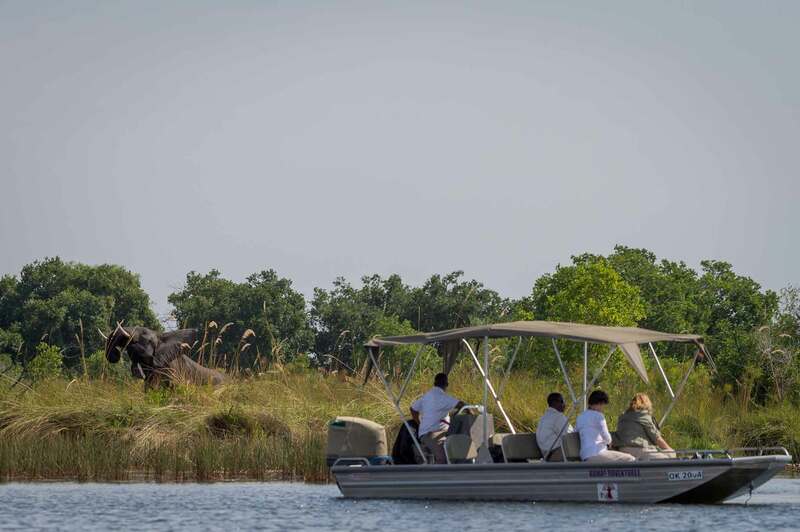 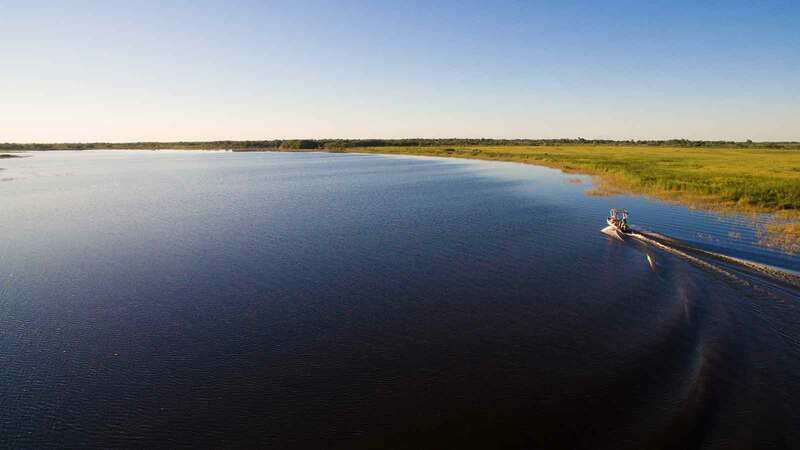 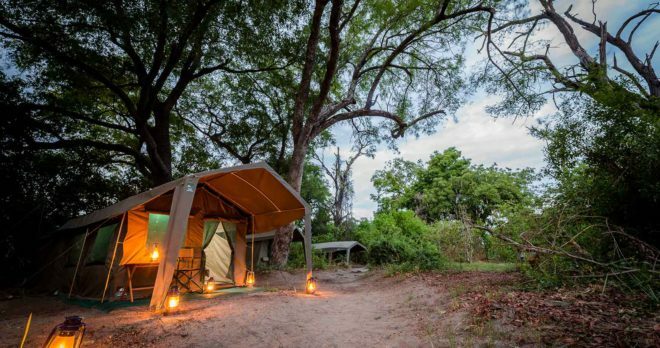 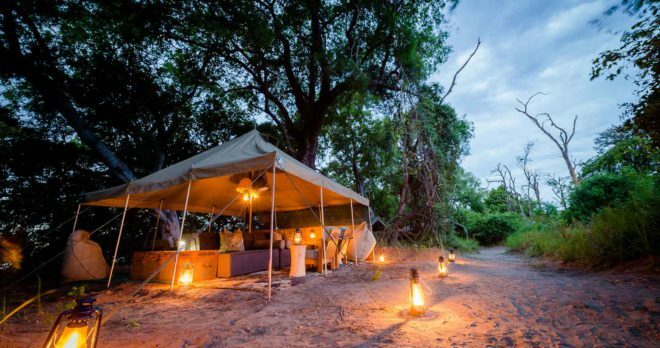 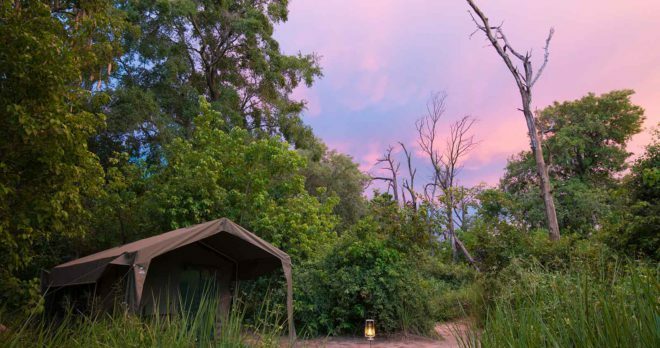 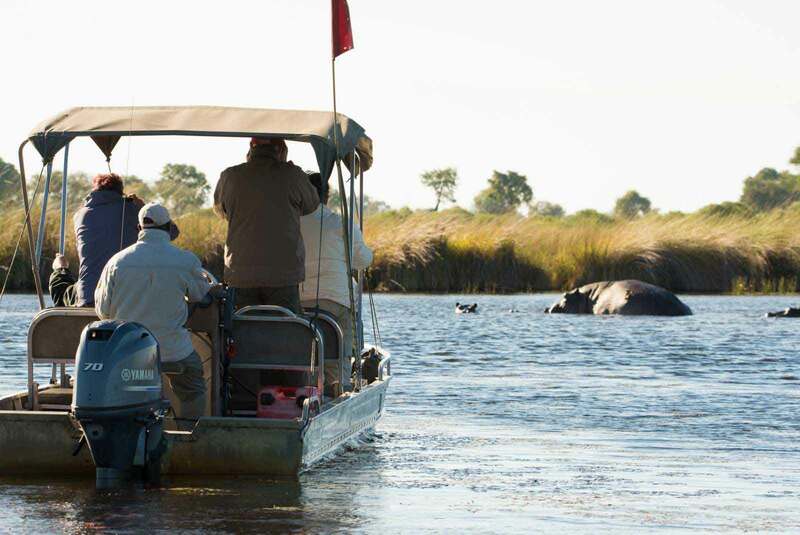 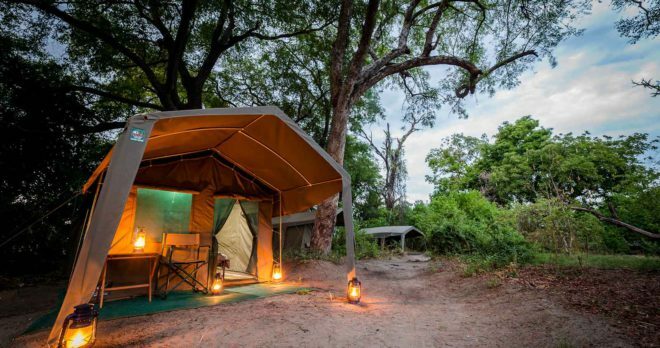 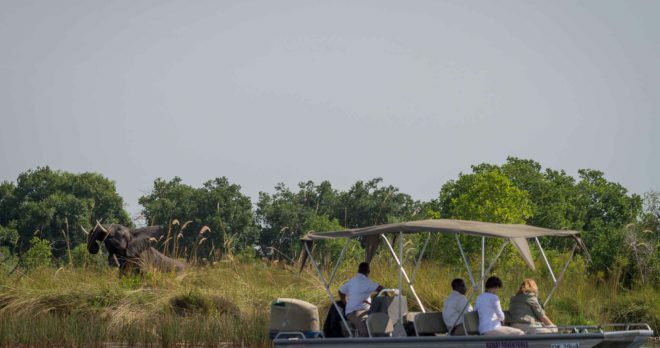 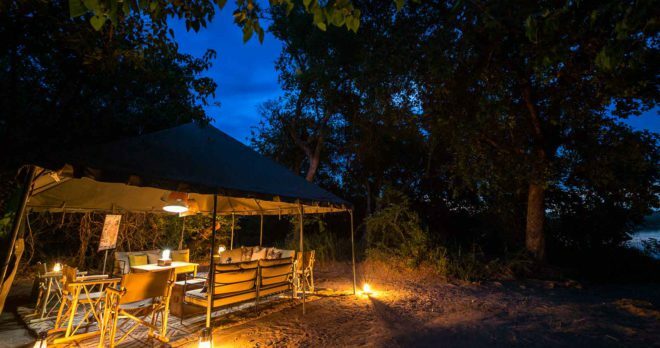 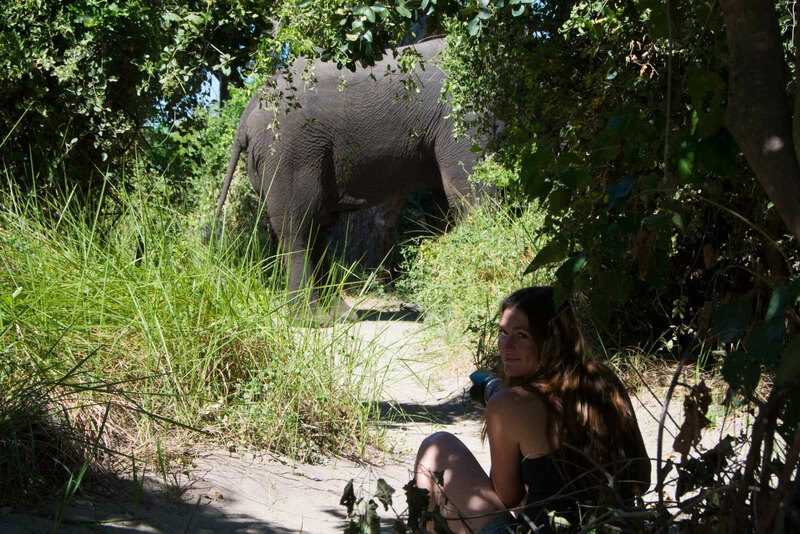 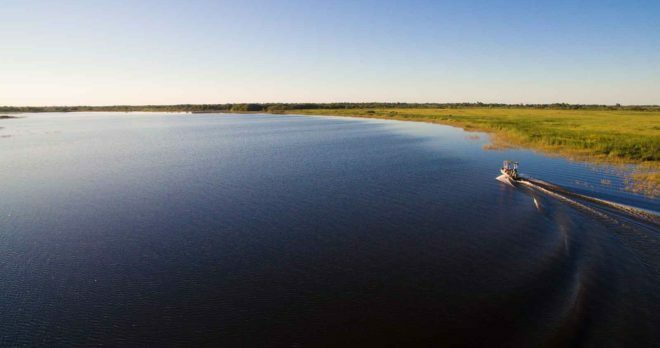 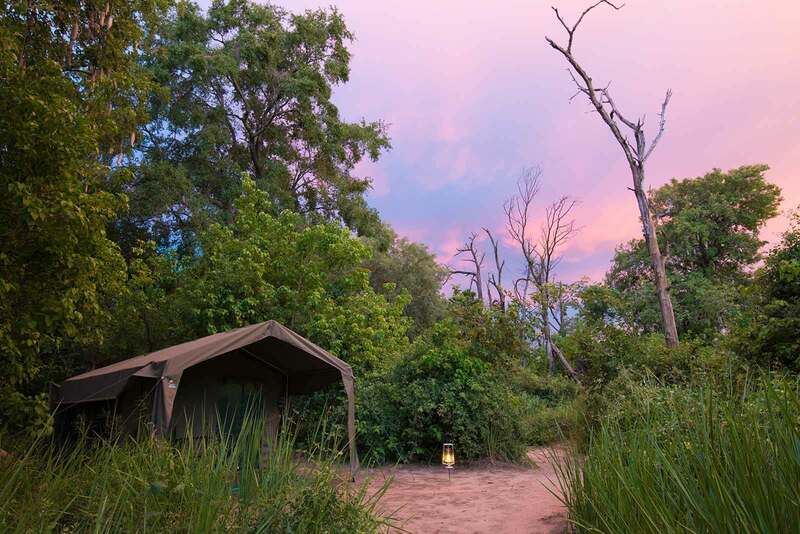 Xobega Island Camp is a birder’s paradise in canvas fly-tents in the inimitable Okavango Delta, only a boat cruise from Mboma boat station in Moremi Game Reserve. 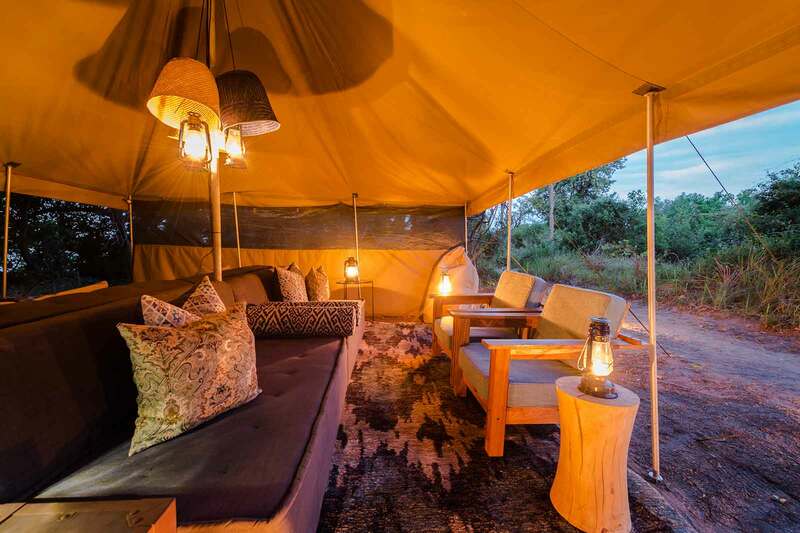 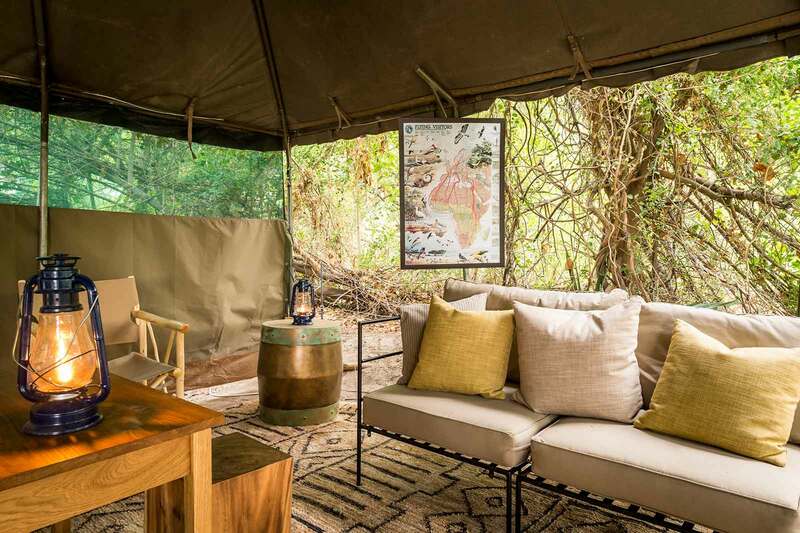 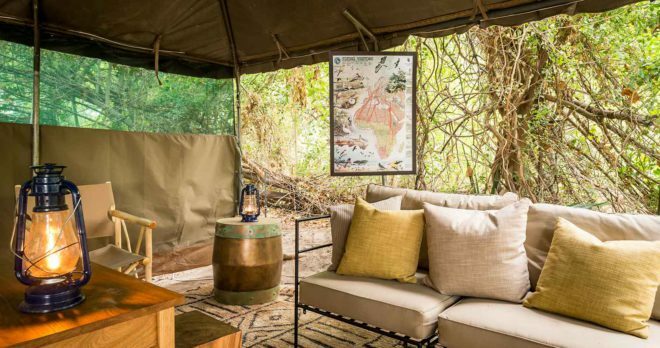 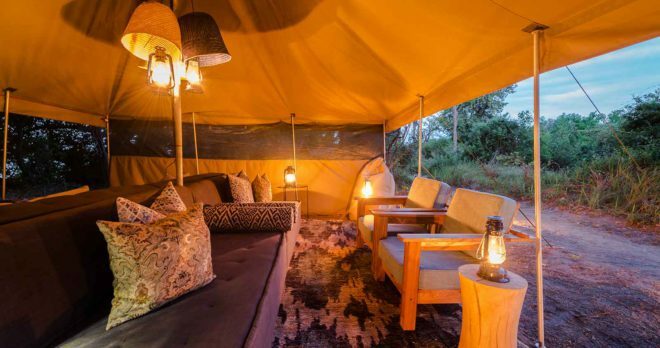 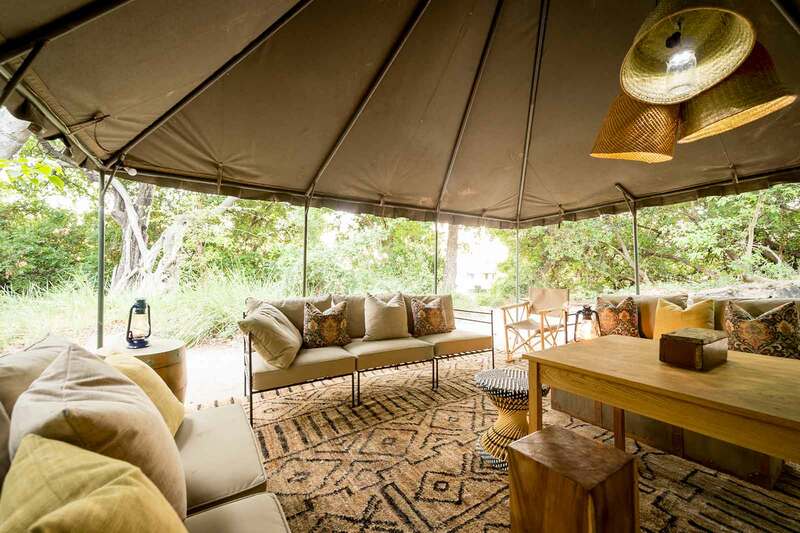 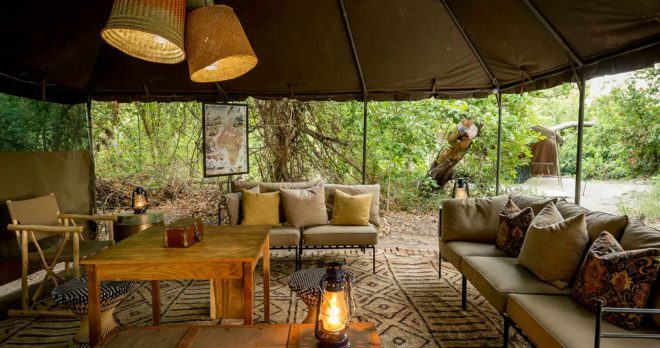 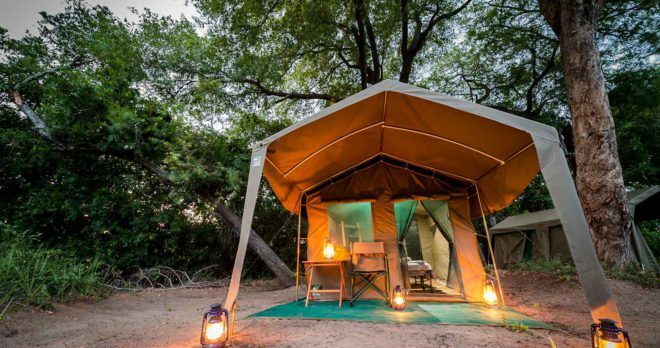 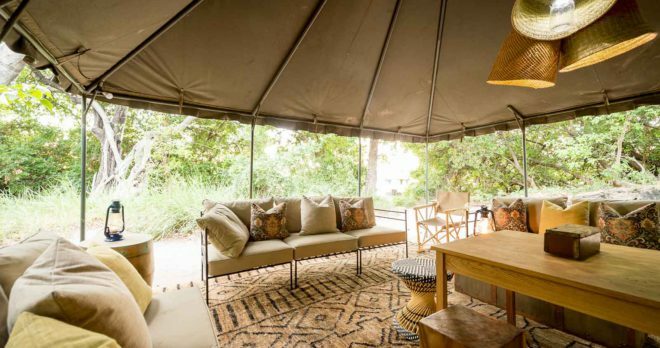 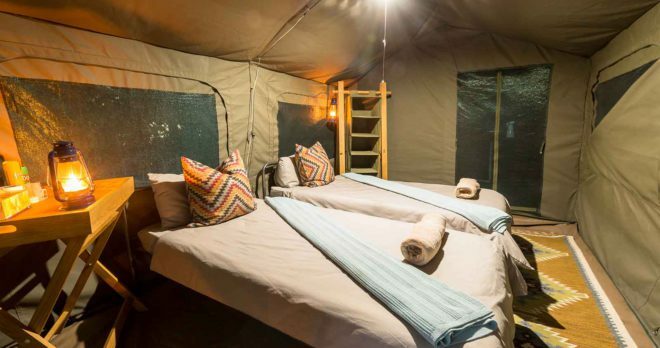 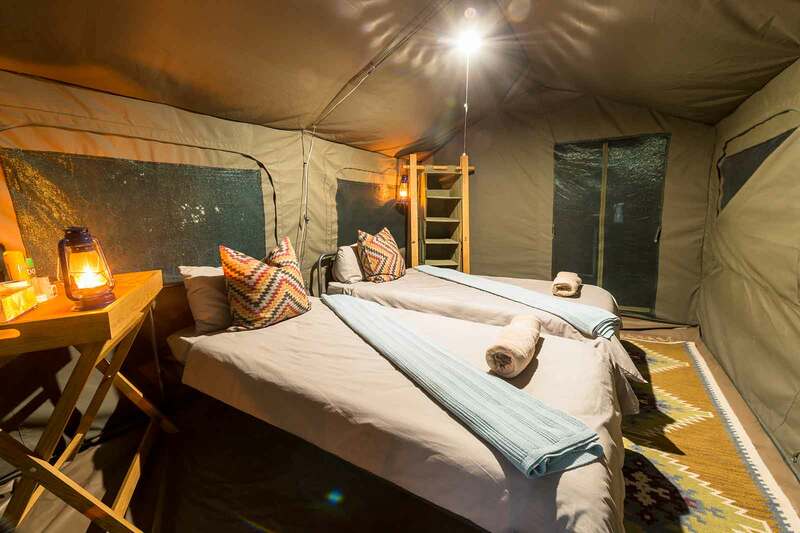 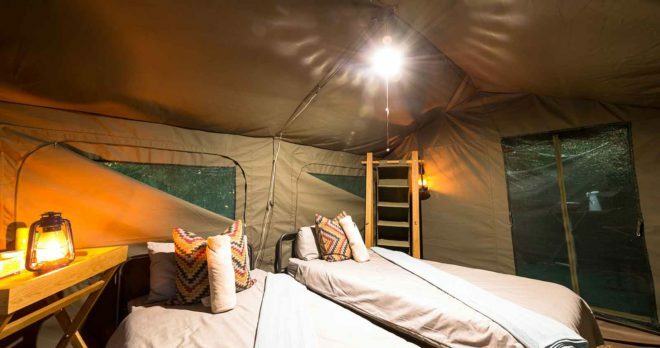 XOBEGA ISLAND CAMP: Accommodation at Xobega Island Camp has been likened to the concept of ‘glamping’, given that, in essence, guests sleep in tents, but these tents offer far more than what is expected from camping. 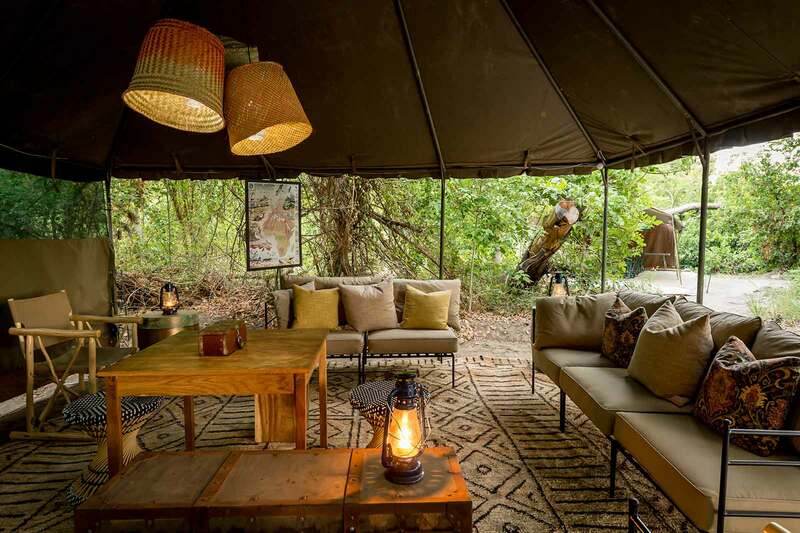 There is no use of generators, so solar power is solely used to run the camp. 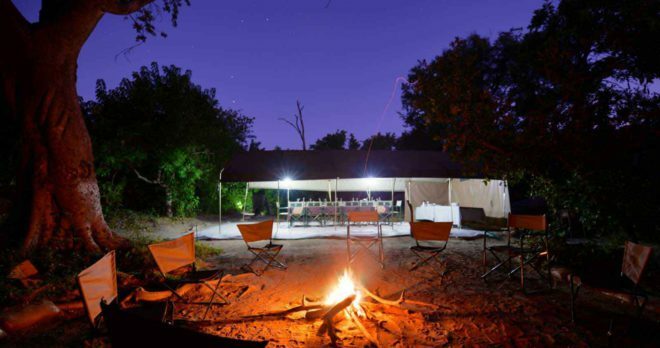 We stayed there with a group of 8 people from the 5th to 7th November 2016. 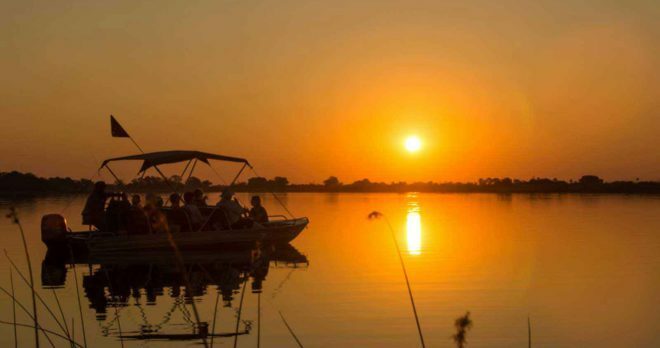 It is a great place, everything is very well organized. 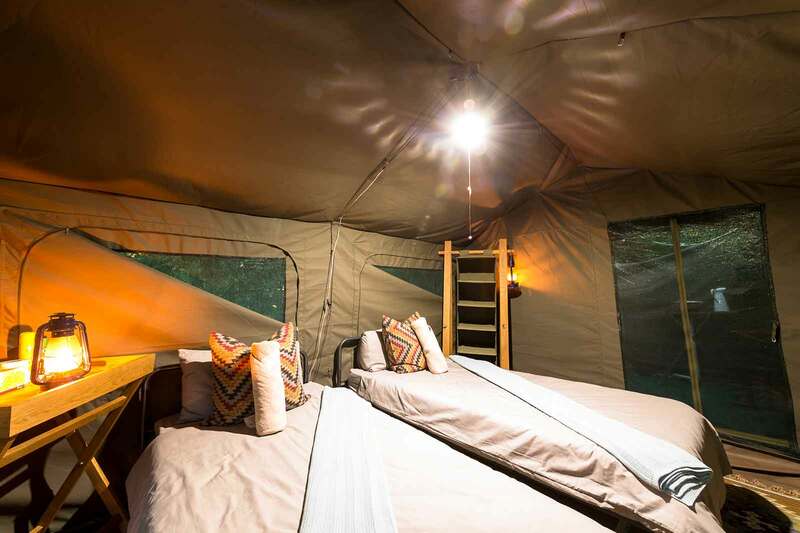 Innocent is taking care for everything: Power in the tent, permament service for drinks, clean tents, boat trips, fire pit. 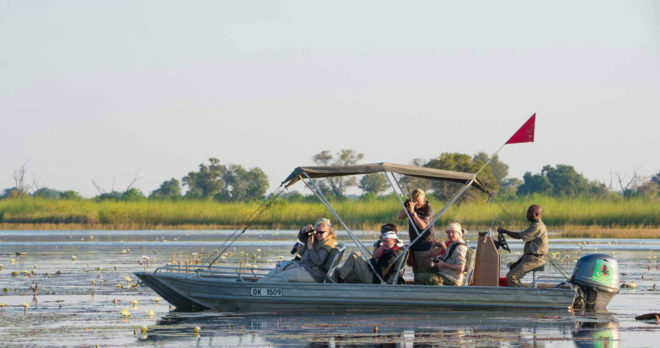 We loved to listen to the singing of the team and to dance with them. 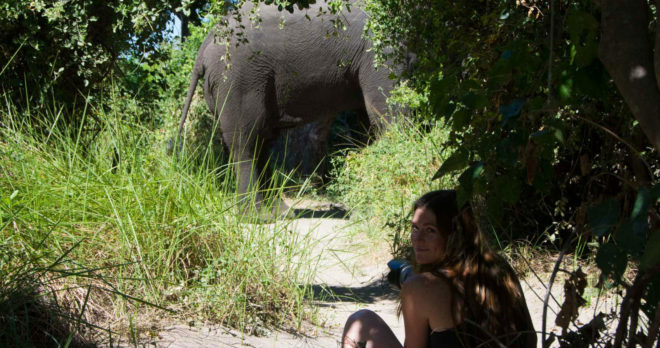 It was a funny stay, with very good food, nice and good staff, lots of animals and adventure at night, when the elephant was looking for vegetables in the kitchen. 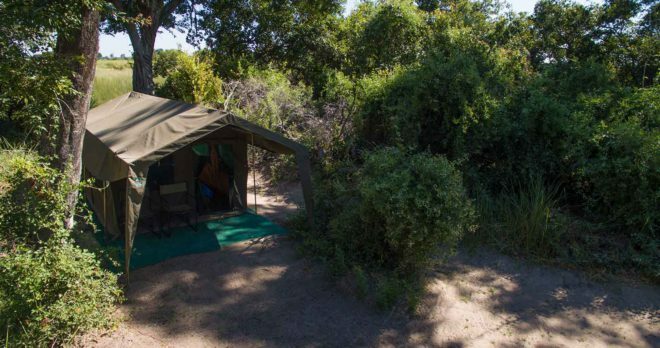 On arrival we were warmly greeted by the staff, then taken to our tents. 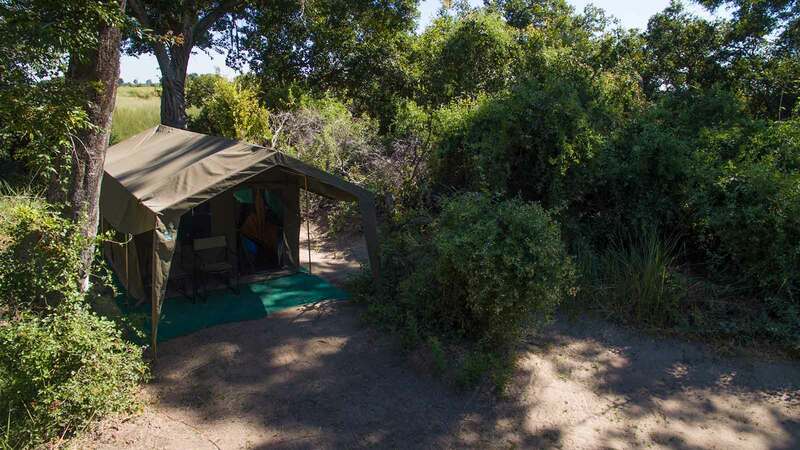 The camp was neat and clean, the staff friendly and kind. 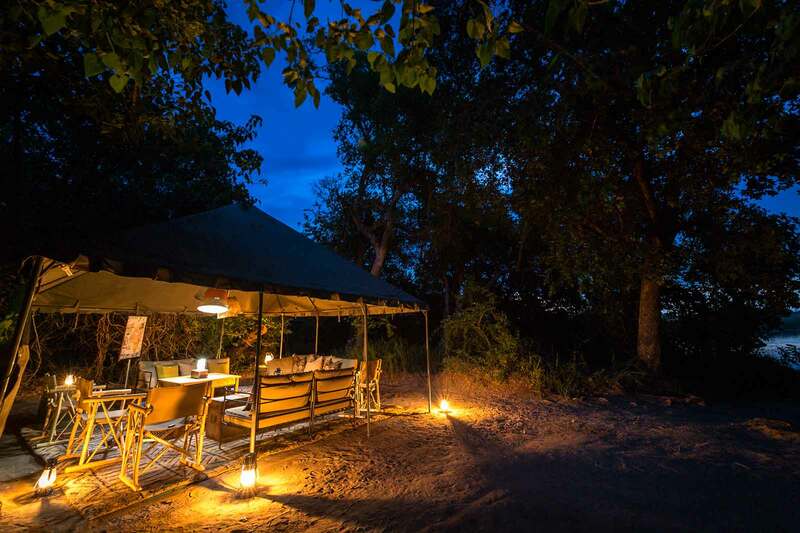 After the evening boat ride we sat around a campfire and had a few drinks before being served dinner. 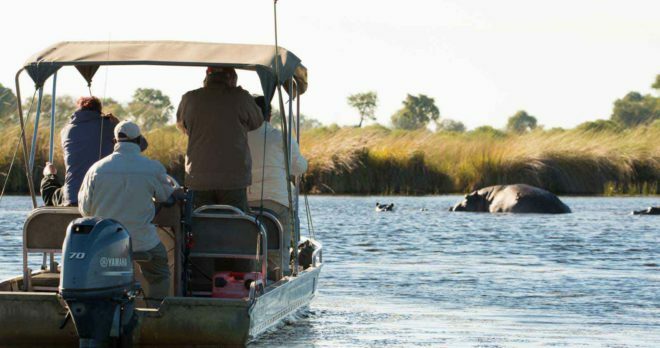 On this adventure we saw a few hippos and birds.